CST Technologies, Inc was founded in 1986 By Dr. Anand Akerkar for the sole purpose of providing an alternative to companies who use HSA, BSA, Serum and human urine in their diagnostic reagents. 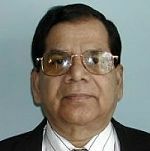 With his vast experience in the field of Diagnostics industry, and a key scientist known throughout the industry, Dr. Akerkar developed a line of synthetic products called SeraSub (synthetic substitute for serum) and UriSub (synthetic substitute for urine) as well as LoSol Urisub which has a lower concentration of sodium. These synthetic products SeraSub, UriSub and LoSo UriSub, are all room temperature stable and also have the ability to stabilize all type of enzymes including the very sensitive enzymes like HRP, CK-MB, and Proteins like TSH, LH, FSH and HCG, as well as haptens and drugs of abuse analytes. These substitutes to HSA, BSA, serum and human urine have been used for almost 20 years by the in-vitro diagnostic industry for making standards and controls. When spiking one of these sensitive analytes into either SeraSub, UriSub or LoSo UriSub, it will become stable at ambient temperature for up to one year and in some cases longer. Companies that have used our synthetic products have found them to be a solution to the multitude of products that they encounter when using HSA, BSA, Serum or Human Urine. CST Technologies’ synthetic matrixes will eliminate your need for lyophilization and therefore eliminate any error during the reconstitutions step and overcomes the lot to lot variation (being a synthetic there is no lot to lot variations in SeraSub, UriSub or LoSo UriSub); and, no refrigeration storage is required.CST products are the answer to dealing with the potential problems posed by human serum or plasma based products, (AIDS, Heptatis, microbiological contamination, refrigeration storage and going bad because refrigeration breakdown). CST Technologies is confidant that by giving SeraSub, UriSub and LoSo UriSub an evaluation in your controls and standards, you will not return to the use of HSA, BSA, Serum or human Urine. CST’s product line is manufactured using a GMP Certified process. The product you receive will provide lot to lot consistency that is virtually undetectable and stability at room temperature guaranteed for 2 years. If you have technical or marketing questions please call 1-516-482-9001 or send an email to info@cstti.com . A technical or marketing representative will respond to you within 24 hours regarding your questions. Dr. Akerkar has been working in the Pharma and Diagnostics Industries for over 40 years as scientist and consultant. Alan Schwartz rose to the position of supervisor of field operation prior to leaving the FDA in 1978 to start his consulting career. Linda O’Brien has worked with CST for over 10 years, Linda is the one to call for any problems you maybe having with any of CST’s products. She will be able to direct your call to someone who will be able to get you the answers you need to assure that our products work the way you expect them to.